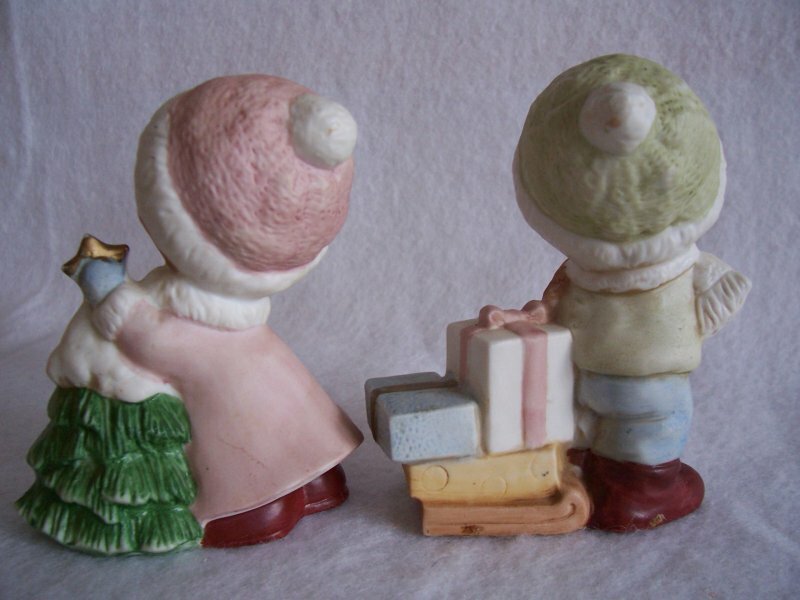 Porcelain bisque Christmas holiday HOMCO boy and girl figurines. 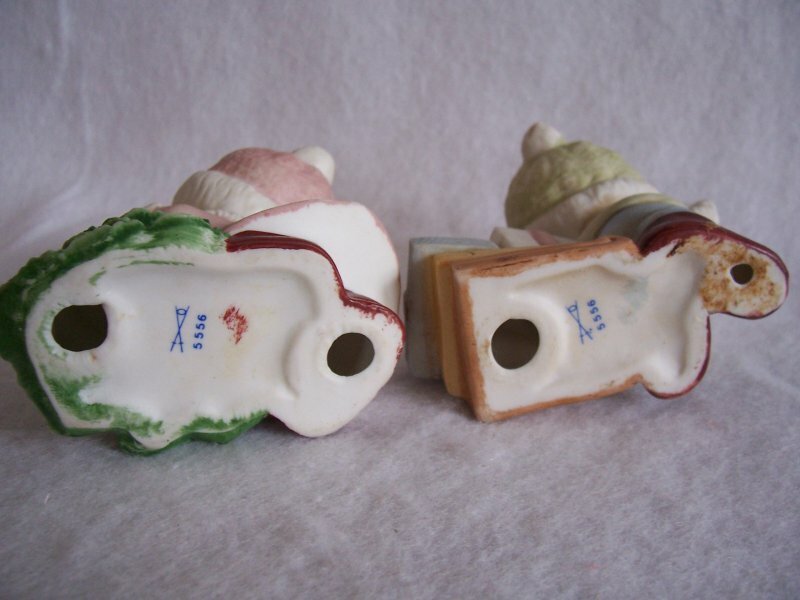 The figurines measure 4 inches tall x 3 inches wide x 2 inches deep. Very detailed facial features. 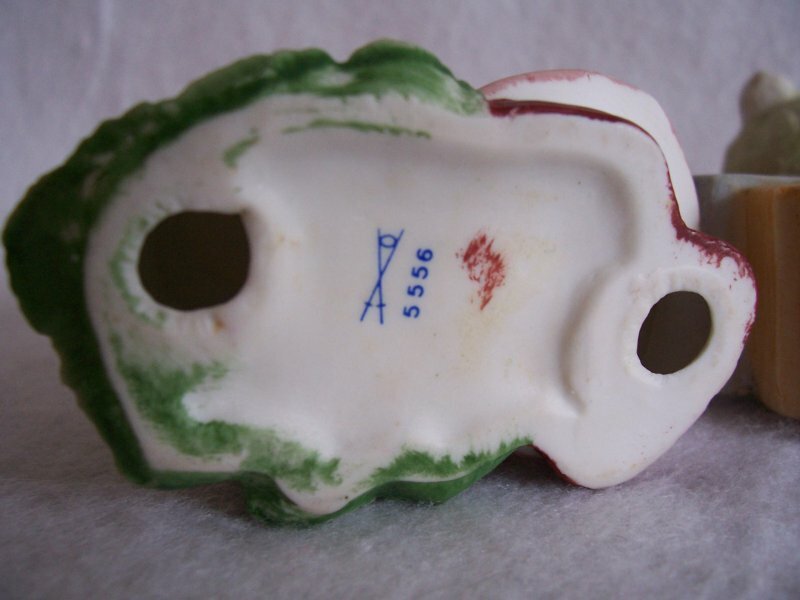 Bottoms are stamped 5556 and has the crossed swords. In gently used condition with no cracks, chips or scratches. 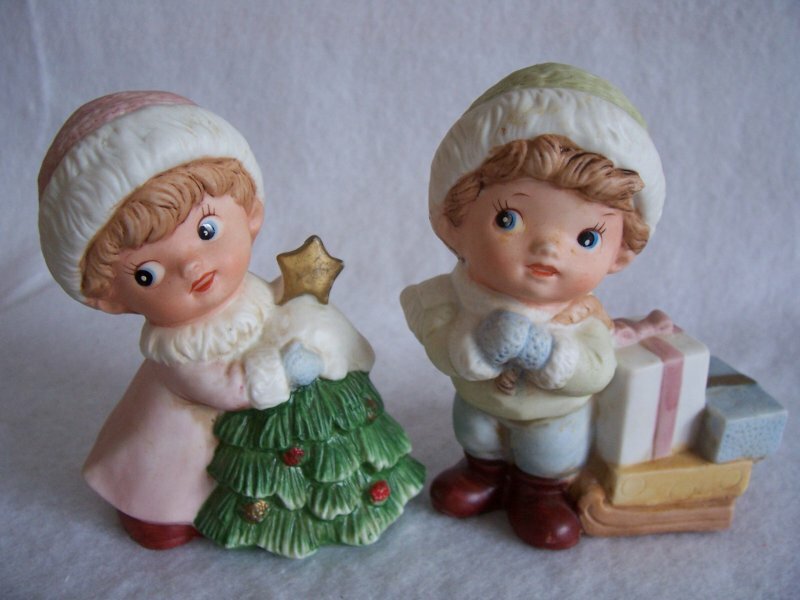 Porcelain bisque Christmas holiday HOMCO boy and girl figurines. 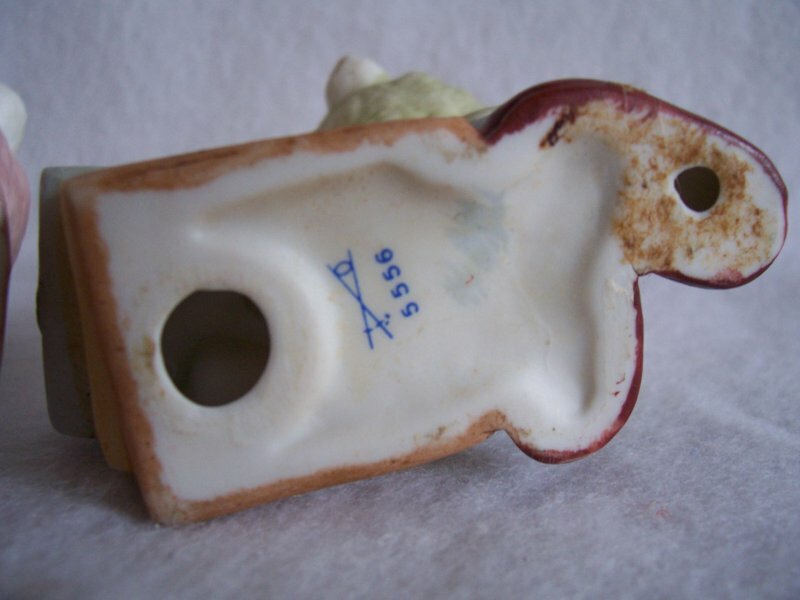 The figurines measure 4 inches tall x 3 inches wide x 2 inches deep. 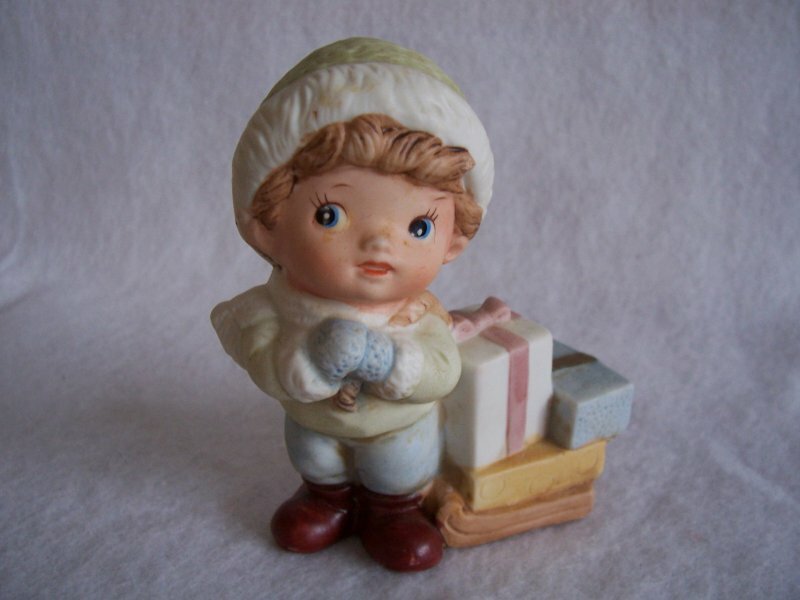 The little boy is dressed in a pastel green hat and coat with white trim and blue pants. He is pulling a sled with 3 gifts or presents on it. The little girl is dressed in pastel pink with white trim. 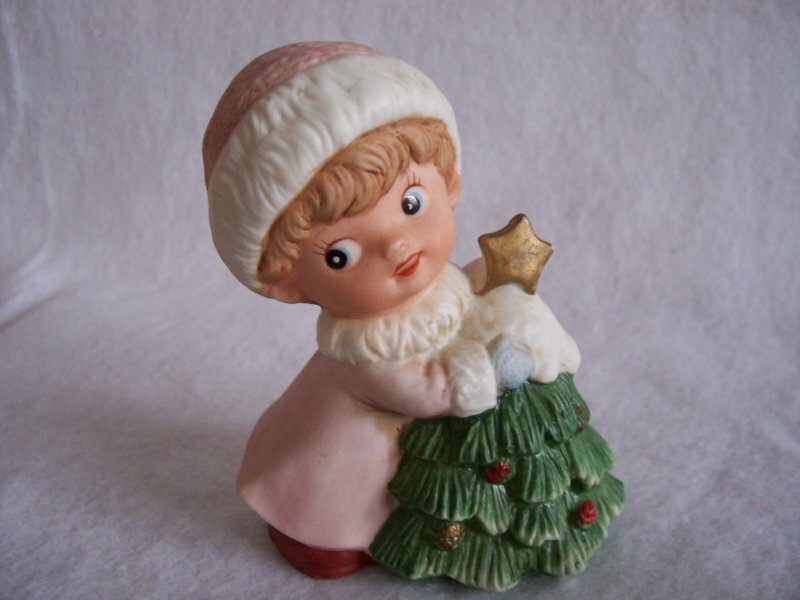 She hugs a holiday Christmas tree with a gold star close to her. Very detailed facial features. Bottoms are stamped 5556 and has the crossed swords. In gently used condition with no cracks, chips or scratches.